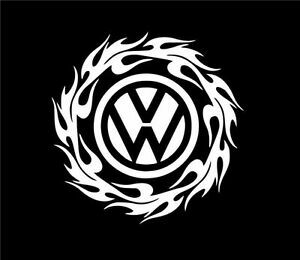 Just last Wednesday, the California Air Resources Board rejected VW Group’s plan to fix their 3.0L diesel VW. This also includes Audi and Porsches that were discovered last September that they were illegally altering the cars’ emissions control systems. Two letters were given, one addressed to Volkswagen and Audi cars and the other address to Porsche. In it, CARB called the company’s recall plan “substantially deficient”. They also said that the VW Group submitted documents that “fall far short” in meeting their standards that would bring the carps up to code. A total of 85,000 3.0L diesel Porsche, Audi and VW cars are on the road still that has not been recalled or bought back. In June, the VW Group proposed a massive settlement. In here, they would buy back almost 500,000 2.0L diesel vehicles and also compensate the owners. Last Wednesday in CARB, the air regulator claimed that their subsidiaries Audi and Porsche “failed to disclose and provide a complete description of all defeat devices” on the cars. CARB already rejected an earlier plan last February and reminded VW that they need to submit to get CARB approval of the recall plan. CARB also stressed that VW didn’t describe in detail how the fix would work. In addition, how it will impact the car’s emissions are not also indicated. Volkswagen, Audi, and Porsche "failed to specifically and completely describe the fixes in their proposed recall plan in a manner that allows CARB to adequately evaluate whether they could be successful or are even technically feasible or would not cause greater emissions deterioration,” CARB wrote. CARB also added that VW provided inadequate documentation with regards to how the fix would impact fuel economy, drivability and the On Board Diagnostics systems in the cars. CARB also concluded that “the recall plan cannot be completed expeditiously.” This is another criteria for having a recall plan approved. Meanwhile a statement from VW came calling that the rejection "a procedural step under California state law." "We continue to work closely with the US Environmental Protection Agency (EPA) and CARB to try to secure approval of a technical resolution for our 3.0L TDI vehicles as quickly as possible," the statement added. At least, VW is keen to make everything right this time. This goes to show that in spite of the rejection they are still eager to do it and this time trying to find a technical resolution with regards to the affected cars. This might be a long process for the car giant yet we also cannot deny that CARB and EPA is just trying to generate the best sustainable solution for this concern.